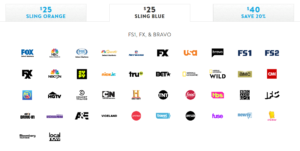 Sling TV packages consist of two basic channels lineup which they call Sling Orange and Sling Blue. To give you some background, Sling TV is a streaming live television service that has been in existence since January 5, 2015. At the end of Q1 2017, its subscriber count totaled over 1.3 million. It’s a simple concept in which cord cutters have grown to love– skinny bundles. Yes, bundling of pay tv continues, but with smaller and more package options, making cord cutting a way better user experience than traditional cable. The Sling Orange package is priced at $25 per month (On 6/28, it was raised from $20 to $25). You’re only allowed to stream on 1 device at a time. With the Sling Blue package at $25 per month, you’re allowed to stream on 3 devices simultaneously. View table below for channels list. You can also choose to subscribe to both, the Sling Orange + Blue plan, for $40/month. Keep in mind, the streaming device limitations still apply to the package channels list even if you combine them, meaning that you can only stream ESPN on one device at a time whether you chose the Orange or the Orange + Blue combo. If you subscribe to the Orange + Blue plan, you will get 4 simultaneous streams for channels that are available on both plans. The interface is not as user-friendly though. All channels are shown for each package, which makes it a long horizontal scroll to get from Blue to Orange. One other thing to keep in mind is that while some channels are in both packages, like TNT, if you were to watch simultaneously on 4 devices, 3 would watch it through the TNT icon under Blue, and 1 will have to access it through the TNT icon under Orange. The easiest way to find the channel you want to watch is to use the filter option or adding channels to My TV so that it can be accessed easily. Also, make sure that the “show me only Sling Blue versions of channels in both services” box is not checked on your My Account page. Otherwise, you’ll only get 3 streams for Blue channels and 1 stream for Orange channels that doesn’t overlap with the Blue channels. Who came up with this idea? They definitely need to work on the combo package interface and user interface. On-demand content is available for most channels. Check the list below to see which channels offer on demand viewing. If you missed the latest episode of The Walking Dead on AMC, you can watch it the next day. And of course if you have the DVR subscription, you can always record each individual show or the entire series. 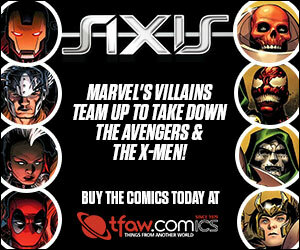 Never miss another show again! If you want local channels as part of your streaming package, it’ll depend on where you are located. Currently, only FOX, NBC and ABC networks are available in select DMAs (Designated Market Area). Sling does not have a deal with CBS. 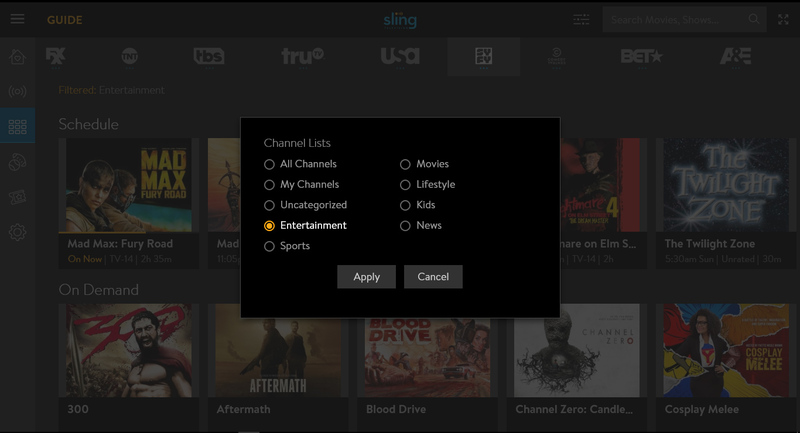 For a list of local channels available in your area, visit Sling TV local channels help page where you can enter your zip code to determine which channels are available. Sling also allows you to use its credentials to authenticate with some networks’ own applications. This is extremely useful as sometimes network channel’s app have more on demand materials available. 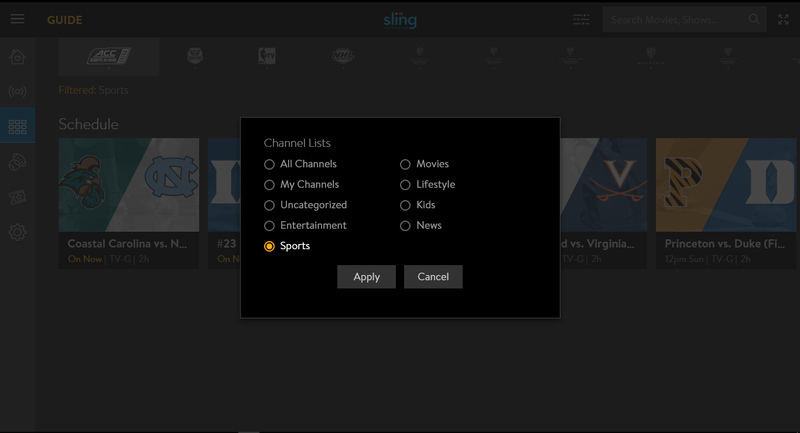 For a current list of which network channels are available, visit Sling’s help page. One advantage of the streaming tv services is that you’re free to cancel the service at any time by calling customer service or by going to your online account. There is nothing to return. No hassle! You’re also free to change your package subscription at any time. 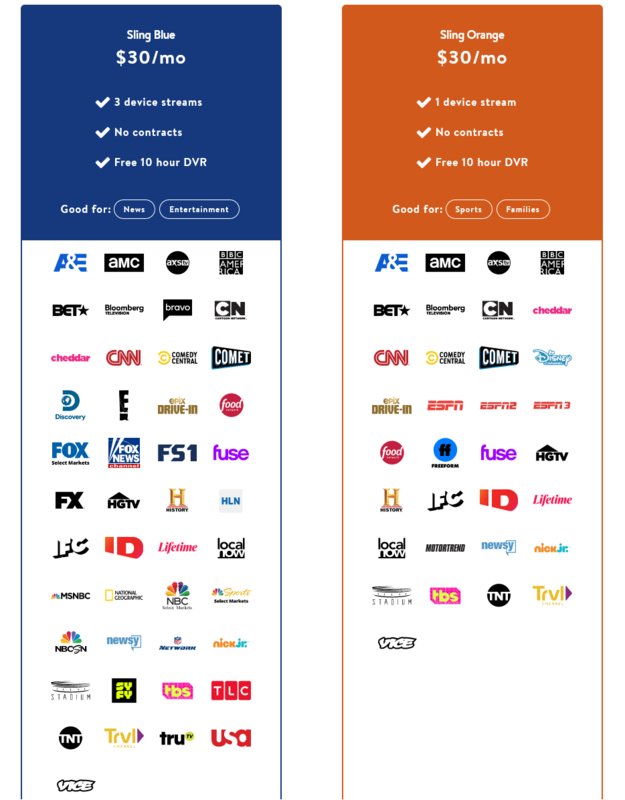 In addition to the regular channels on the Orange and Blue package, you can also subscribe to many of the extra add-on packages at a reasonable price. 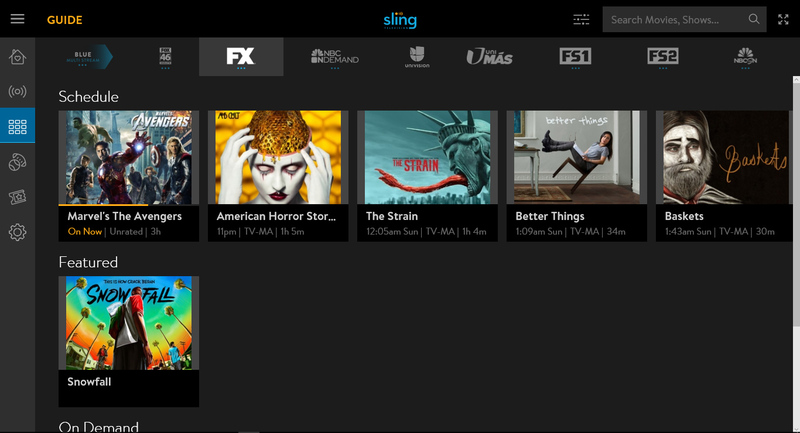 As of March 10, 2017, Sling is also providing 50GB of cloud DVR service for $5/month. You can also add extra channel packages. Depending on your base package, your extra packages differ on the channels it carries. Check Sling TV channels & add-ons pricing guide for the latest price and viewing options on extras, including international channels. Current Deal: Kids Extra, Comedy Plus Extra, News Extra, and Lifestyle Plus Extra for just $10/month, savings of $10 per month. 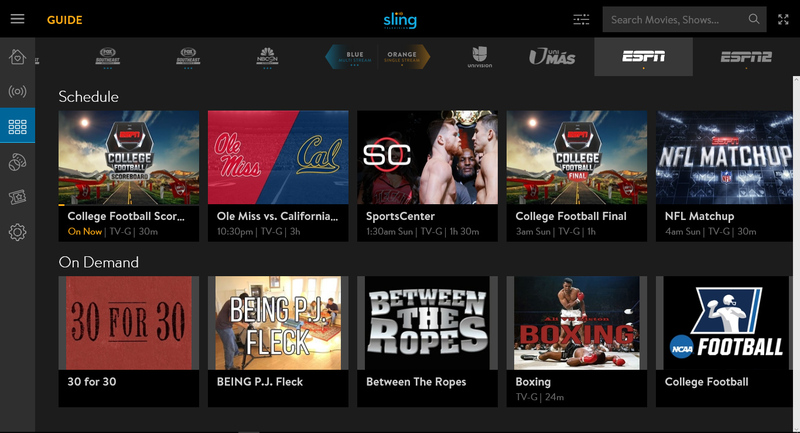 For a list of international channels and cost, visit Sling’s international guide. ⟵What is a Comicon or Comic Con?